Business and professional leaders united. The Bonner Springs Rotary presents “Speakeasy: An Evening of Live Music and Fun!” on Saturday, November 1, 6-10 p.m. at Lake of the Forest Club House. The event benefits Bonner Springs community partners Allegro Choirs of Kansas City and Vaughn-Trent Community Services. The evening features live entertainment by the Allegro “Brillante” Choir and The Kicks Band; dance lessons led by Shari Augustine from Walter’s Dance Center; gambling; a silent auction and prizes for best 1920s costume, with all guests encouraged to dress up. Tickets are $55 each, which includes dinner, music, entertainment and two free drink tickets. A cash bar is also available. Check out the Bonner Springs Rotary Facebook page to watch our Speakeasy promo video too! For more than 75 years, the Bonner Springs Rotary has supported its community. Its mission is to build peace and good will in the world. This year, Rotary is so pleased to provide all Speakeasy funds raised to benefit Allegro Choirs of Kansas City and Vaughn-Trent Community Services. Both organizations are located on Oak Street in Bonner Springs and are making a difference in the community. Here’s how you can help. Rotary is in need of securing sponsors and silent auction items. Sponsor levels include: $1,000 The Big Cheese; $500 The Cat’s Pajamas; and $150 The Bee’s Knees. Download your form by clicking here: sponsorships or silent auction donations form. If any questions, please contact Nicole Gerken at 913.548.8875 or nicolepericagerken@gmail.com. Please return the form by October 1 to allow time for all promotion efforts. The Bonner Springs Rotary appreciates your time, your consideration and most importantly, your support. 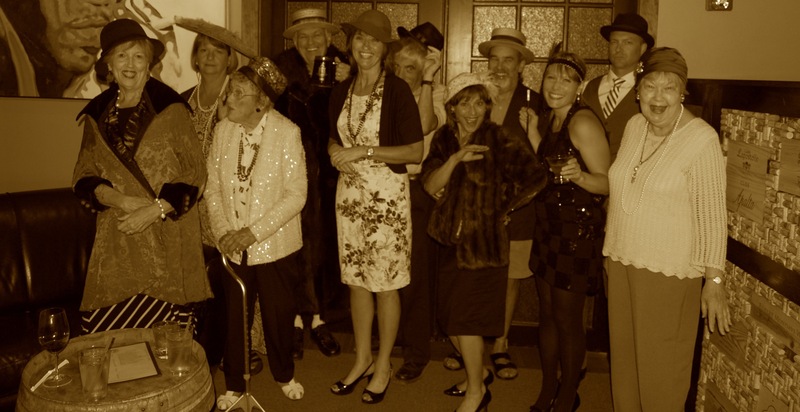 This entry was posted in Fundraisers and tagged Allegro Brillante Choir, Allegro Choirs of Kansas City, Gambling, Lake of the Forest Clubhouse, Prizes for Best 1920s Dressed, Promo Video, Shari Augustine, Silent Auction, Speakeasy Fundraiser, Sponsorship Opportunities, The Kicks Band, Vaughn-Trent Community Services, Walter's Dance Center on August 28, 2014 by Bonner Springs Rotary Club. Rotary is a worldwide organization of business and professional leaders that provides humanitarian service and encourages high ethical standards in all vocations. The Bonner Springs Rotary Club has supported the Bonner Springs community for more than 80 years. Mondays at 11:45 a.m. - 1 p.m.
Bonner Springs Tiblow Days and Rotary Events. Photos by Caroline Boyer.